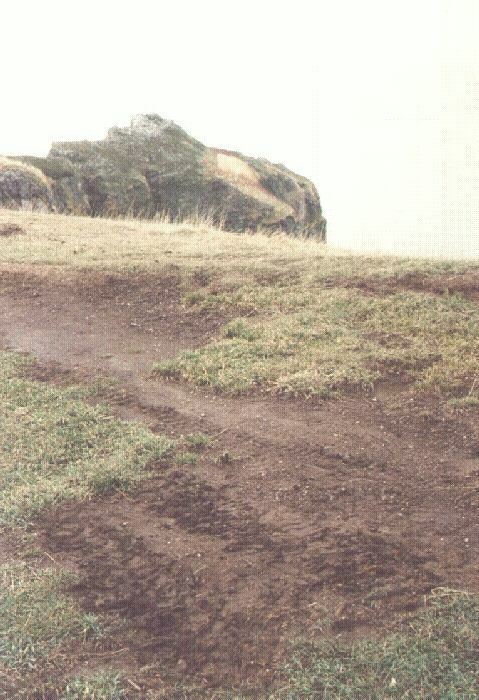 On Dec 11, 1999, the Kings-Queens ATV Club (KQAC)and Scots Bay Fire Department had a rally which was to travel around Scots Bay area with the highlight being a trip to Cape Split along the hiking trail. An observer at the rally estimated approximately 25-30 ATV participated. 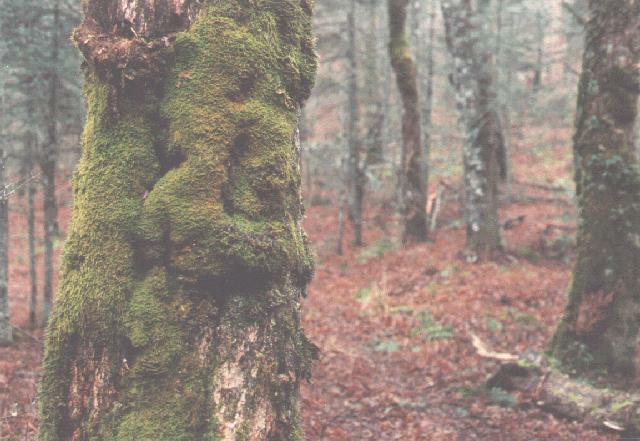 lead to a proliferation of trails which could destroy the special natural areas. We were assured that they would not do any damage to the trail or the natural area along the trail. We were also assured that the ATV's would not go up on the 'ridge' but this must have meant the grassy knoll at the end of the split. We were assured that this would be the only time ATV's would use the trail but the rally was advertised as 'annual'. 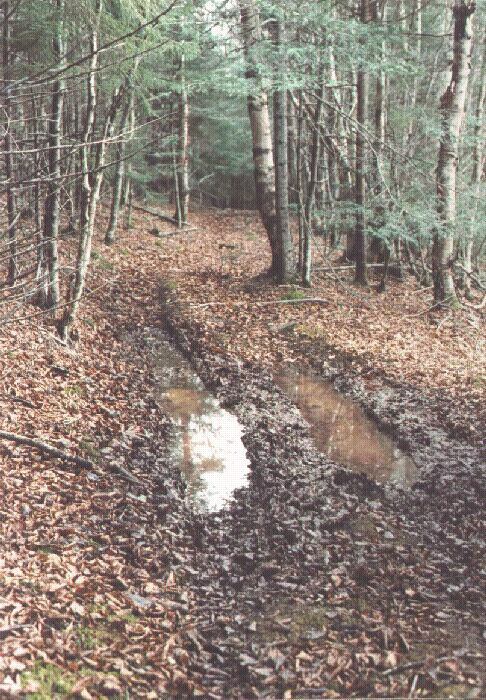 At first the club claimed they had permission to use the trail but the BNS committee had contacted two of the owner who definitely had not given permission (One was the Minas Basin Holding Company Ltd who owns the largest piece at the end of the split). Later the club admitted they may not have had permission from all the land owners but seemed not to be concern about this lack of permission. Since the rally was going ahead, we felt that we should monitor the effects of a group of ATV's over the trail. On December 10, I walked the trail and photographed selected places along the trail for reference. I planned to repeat the photography after the rally on December 12. On the 10th I met a party of 5 ATV's and a trail bike returning from the split end. During a conversation I learned of the views of these ATV bikers on the trail. 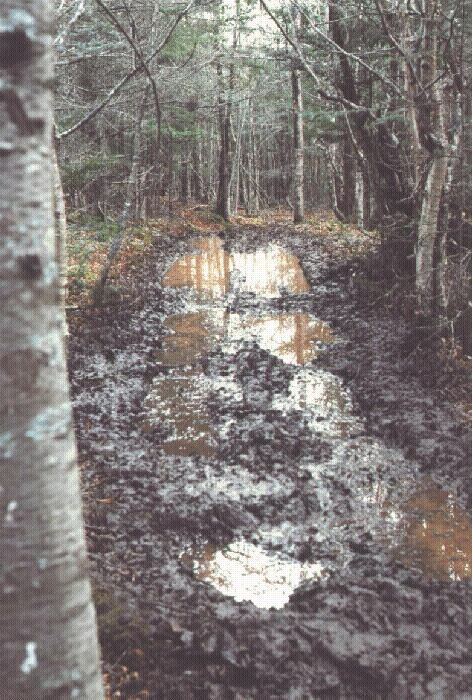 ATV's do not require permission to travel the trail. 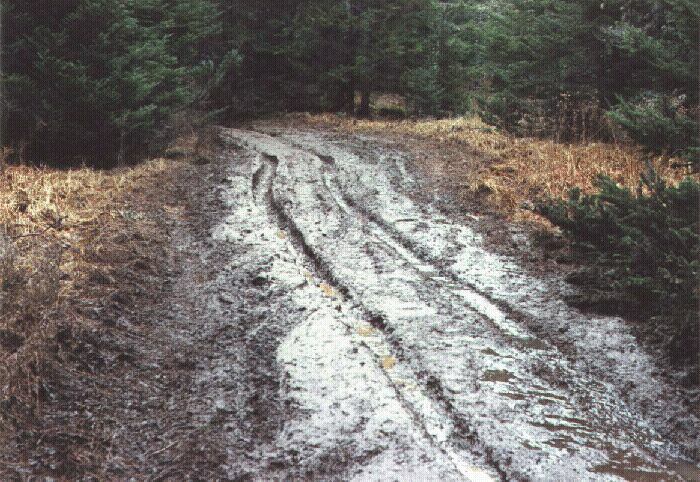 The trail is already damaged by trail bikes and hiking and ATV's don't harm it any more. Recreational ATV's are needed on the trail to save lives (training riding the trails in order to properly rescue a person who gets hurt). 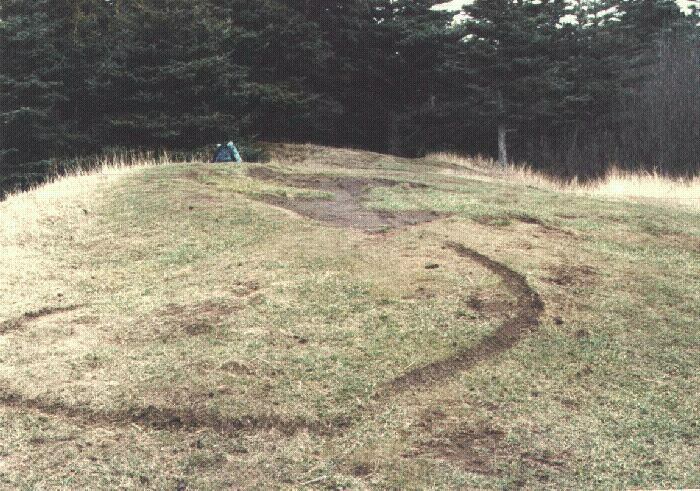 They will encourage other ATV clubs to ride the trail to Cape Split from now on. They do not want to hear that ATV's on the trail is unpleasant. 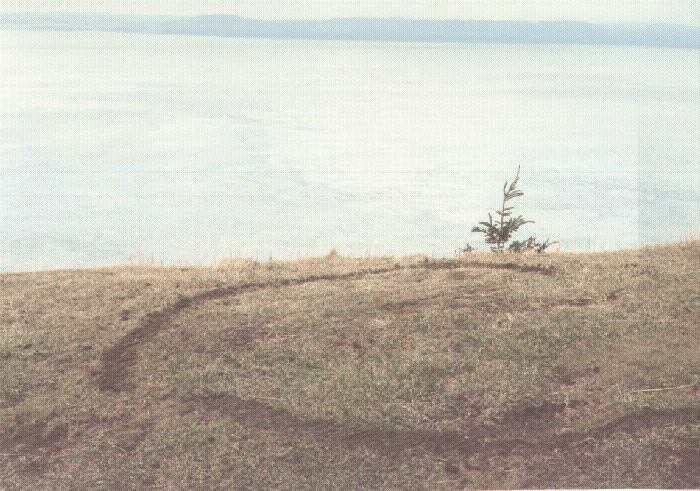 Cape Split is not a sensitive area to be protected. The trail to the split from the point I met the ATV's had been dramatically altered by their passage. Walking on the slick trail was more difficult and the wet spots in the trail had been expanded such that it was more difficult to walk around them (See photo #16). At the end of the split the ATV's had driven up onto the grassy knoll and inflicted obvious damage there. (See photos #'s 10, 12, 13, 14, 14a) The most dramatic cut was by the trail bike that had done a spin-around there (photos #10, 12). This was the effect of only a few ATVs and if the area were continually visited the damage could be extensive in a few years. The topography is so steep that erosion is very rapid if there is no vegetation to hold the thin soils in place. This autumn has been wetter than usual and more care should be taken under these conditions. I hiked back down the trail and took a side trail to the woods roads on the south and lower side of the split. This entrance/exit to this trail is marked by IN and OUT signs on the hiking trail. 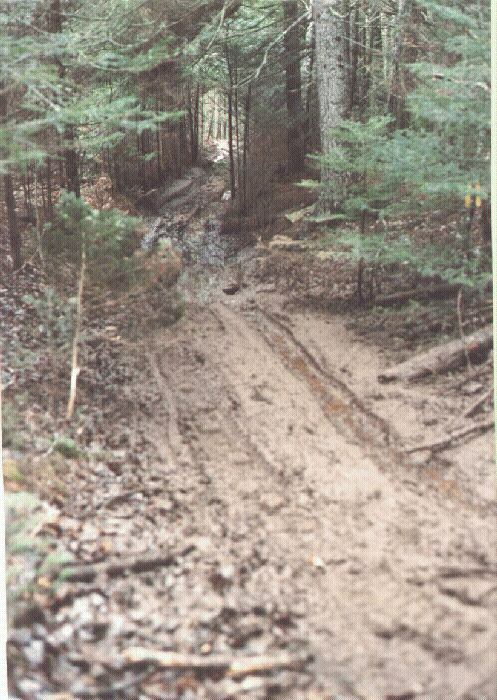 (See the map below - this is apparently a snowmobile trail since the forest floor was previously undamaged). The ATV crew of the day had recently been over that trail. 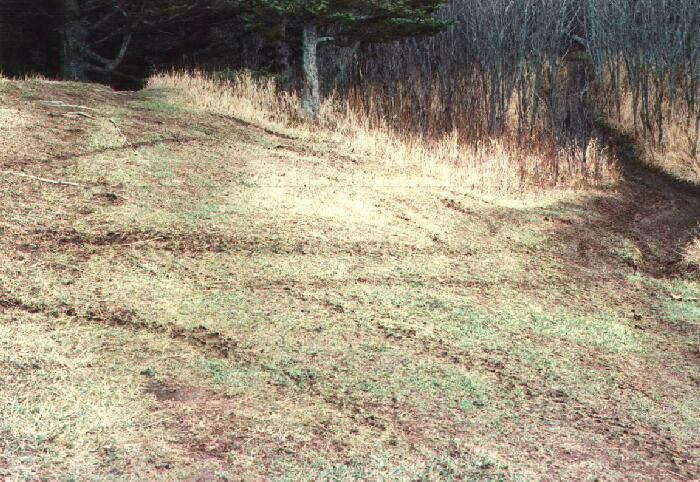 The new part of that trail over the forest floor clearly showed what an ATV can do(See photo location #21 and 22). At one soft area they dug in at least 15-20 cm for several metres with clearly undisturbed areas around (#21). In another area, they went through a beautiful patch of Bunchberry and started to destroy it - I shudder to think of its appearance after a rally of ATV's pass over it (no picture). These old southern woods roads are grown over with grasses making for very pleasant walking. 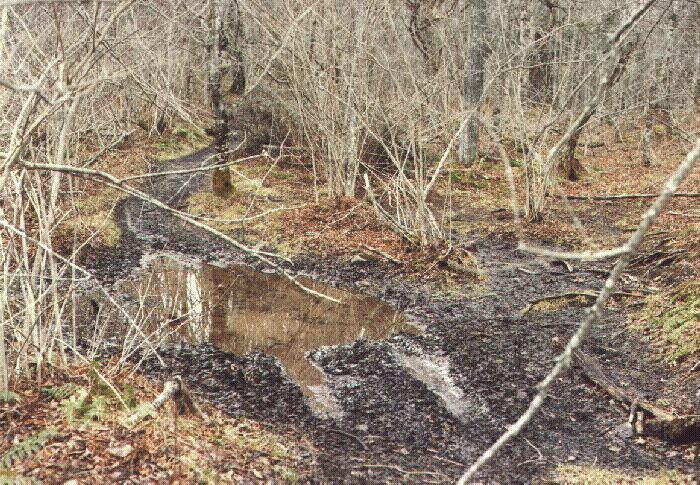 Unfortunately, these trails also cross many streams and drainage areas. It is easy to understand the effect of the ATVs on these trials in these areas. 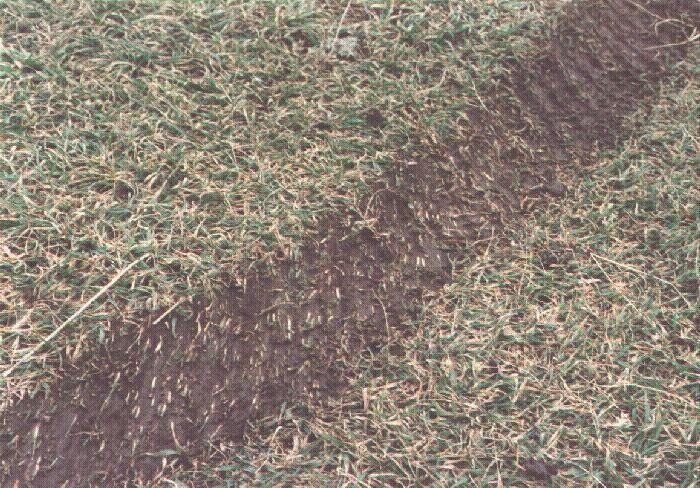 One drainage area of note had been a continuous cover of grasses and reeds but now had continuous, deep ruts plowed through the area (See photo #23). There were numerous places such as this, far to many to document with photos. Needless to say the hike out over this wet, rutted trail was unpleasant. On Sunday, Dec 12, I went back out to the Cape Split hiking trail and found that there were new signs at the beginning of the trail - "Posted" and "Posted -Thanks to Naturalist Society". Did this mean no trespassing for hikers, ATV's or both - I didn't know? Before I got very far, an ATV caught up with me and asked me what I was doing on the trail. The driver was one of the person's that I had talked with on Dec 10. When I learned that he was the owner of the property, I agreed to leave. Then, he suggested we talk. He was with the Scots Bay Fire Department, one of the sponsors of the rally. We discussed the desires of the ATV riders and hiker/naturalists. It turns out the rally did not go out to the end of the split because one of the land-owners in the middle called and told them they could not cross that land. They changed the route to respect those wishes but thought the Blomidon Naturalists Society had encouraged the owner to protest - hence the "posted - thanks to natualists society". I assured him that we did no such thing. The event had been written up in the local paper (Advertiser) on Friday Dec 10 and anyone could read about it there. He closed the trail to retaliate on hikers/naturalists but did not intend to leave the signs up and they was gone when I left the property later. 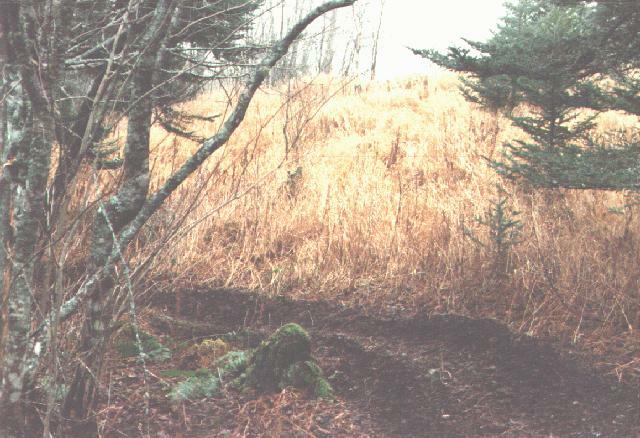 has no intentions to attract ATV rallies from around the province or increase the number of ATV on the Cape Split trails. wants to keep things as they are with no government interference. are annoyed that the public thinks it is public land they are hiking over. does not believe that ATV's are harming the landscape and the land will heal itself. agrees that ATV's should not be on the meadow at the end of the split - mostly because it was dangerous. doesn't consider wet areas as important living habitats. Although the rally had not gone out the trail to the end of the split, it had been over the first 2 kilometres of trail. There was dramatic new damage on the wet parts of the trail. They had passed over only two of the pre-rally photo-locations. An entrance to the hiking trail had a deeper, darker mud hole (photos #25&30). 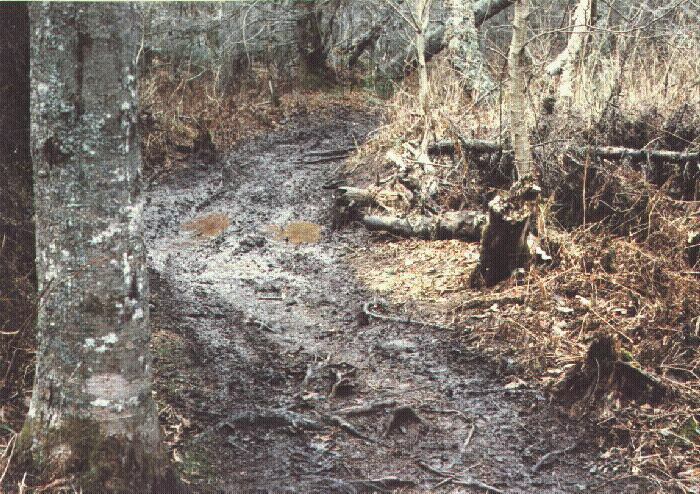 A spring fed wet area was badly damaged by the ATV passage (photos #2&32). This area used to be a beautiful, grassy, wet area that had to be avoided on foot so that trail is up hill from the area. When saw it on the 10th there had been several ATV's and trail bikes through it already. 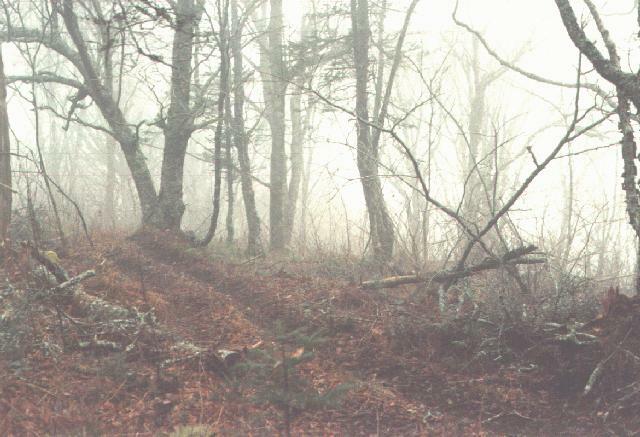 The really dramatic damage was on side trails off the main hiking trails (photos #31 and 33). 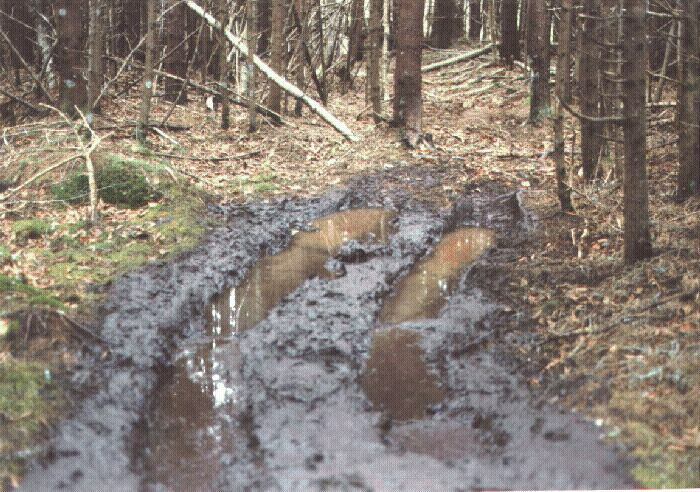 Here the ATV's had made new ruts through very soft trails and marshy areas (no reference photo are available). I continued on to the higher parts of the trail and noted that most of the rally had not travelled here and there was a moderate damage over that from older ATV passage noted on Dec 10 was evident (photos comparison#4 and #36 and 6). The rally created a new ATV trail that curved eastward from the hiking trail. 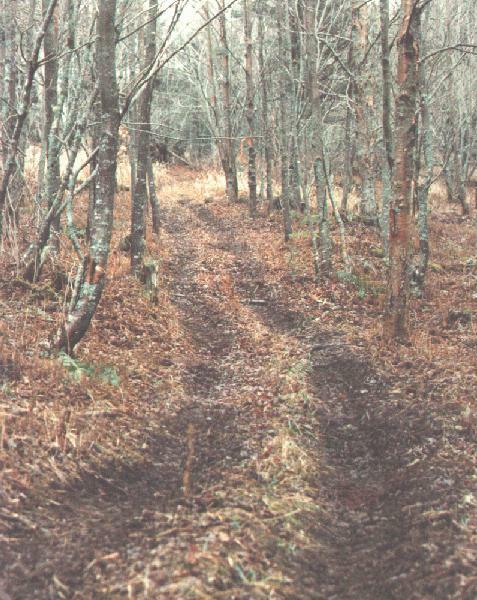 It is a fresh trail with tracks worn in previously undisturbed forest floor. (See Photo #38, #39, and #40). 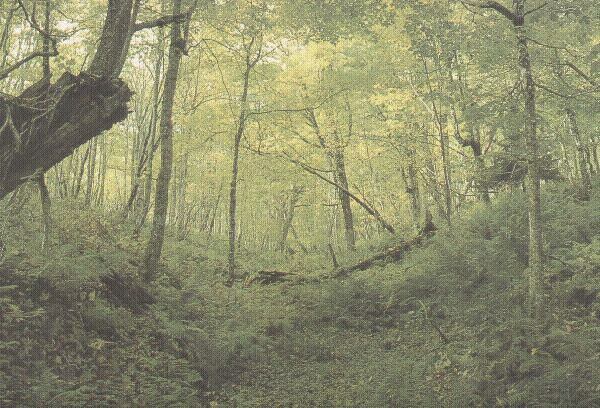 The topography is steep and if this trail continues to be used, it will undoubtedly be turned into a drainage channel, erode to the base rock and become perpetually wet. 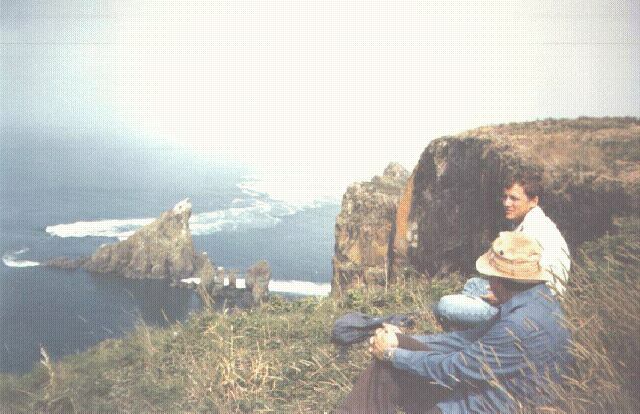 At present, it provides access to the ridge of Cape Split and a nice view across the Minas Channel. I did not follow it to its end. ATV drivers need to be more observant of their effects on the lands over which they travel by understanding and appreciating the landscape and its ecology. Better communications (permission) is needed between ATV's and the owners of the land over which they travel. - Locations 21, 22, 23, 31, and 33 are approximate.